for $220,000 with 4 bedrooms and 3 full baths. This 2,406 square foot home was built in 2010 on a lot size of 4800 Sqft.. Wonderfully located home in Cypress with easy access to 290. 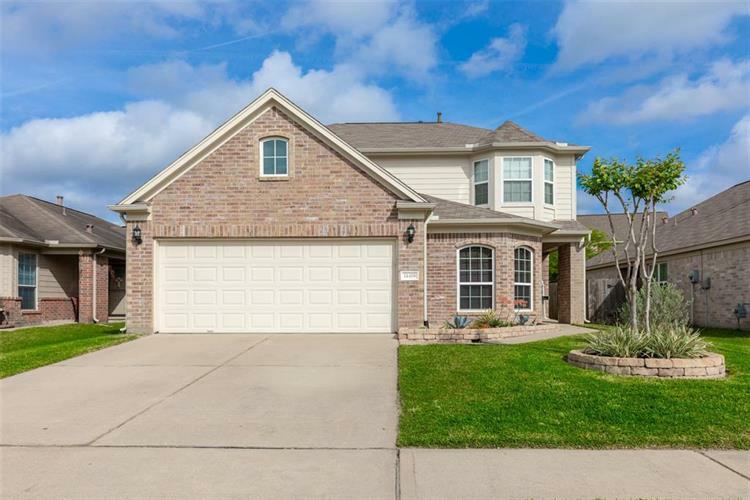 Home features 4 large bedrooms and 3 full bath. Two story home as guest bedroom downstairs that could be used as an office or bedroom. large open kitchen with 42 inch cabinets, with a separate breakfast area and formal dinning room. Large inviting family room with lots of natural light and updated flooring with corner fireplace. The large master bedroom is located upstairs with an on-suite full bath and spacious closet. There is also two additional bedrooms upstairs with a gameroom. Plus a full bath. All lighting has been updated to LED capability, recent hardwoods downstairs, fresh sod in the front. The backyard is ready for those summer BBQs and family gatherings with an extend concrete patio along the back of the home to entertain. All this and still walking distance from the neighborhood pool. Don't miss your chance at this home Zoned to Bridgeland High. Take 290 west, Exit Mueschke Rd. Take right on Mueschke Rd. take left on E. Louetta Rd. Turn Right on Hancock Oak St. Turn Left On Idylwild Wood Way. Home is on the Right.